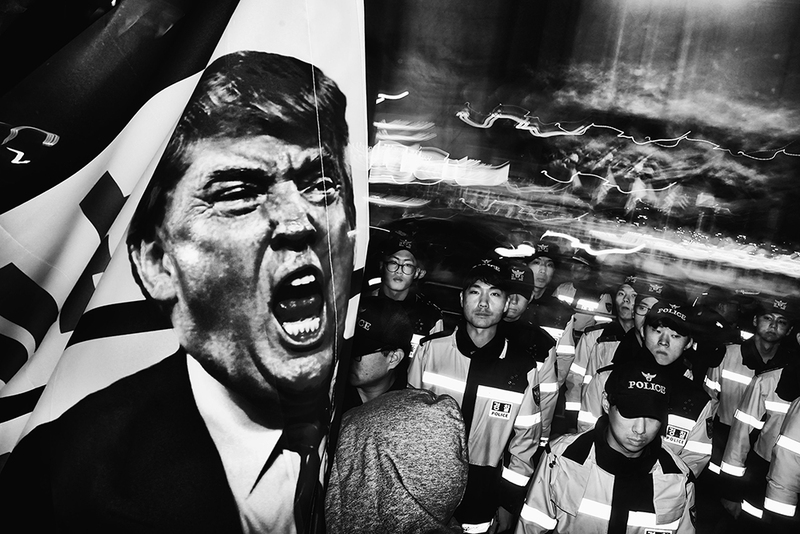 At the Ready — Police stand alert while surrounding an anti-Trump protest in Seoul. 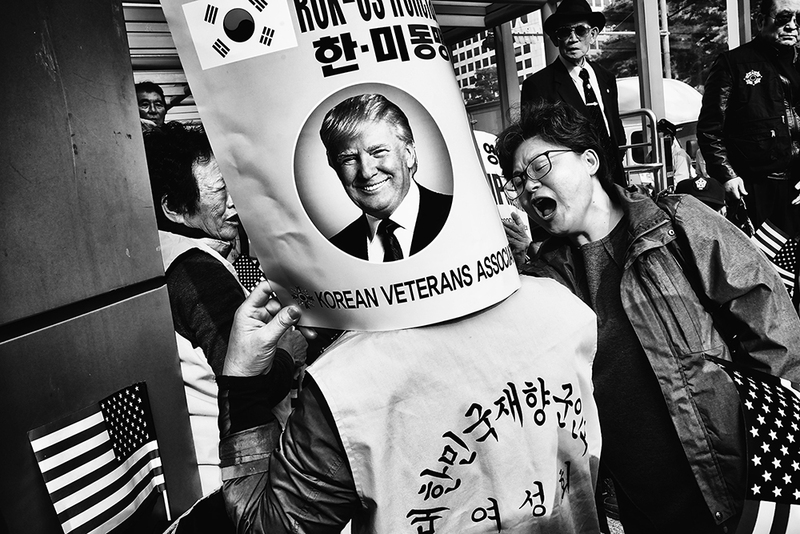 On November 7, 2017, South Korean President Moon Jae-in extended a “heartfelt welcome” towards US President Donald Trump as he arrived in South Korea for a two-day summit to reaffirm the Korea-US alliance. However, his stay did not pass without criticism. 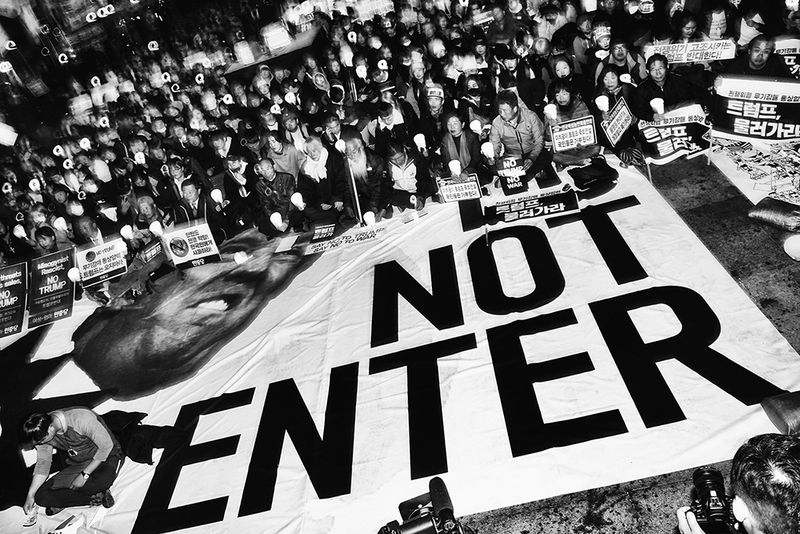 Labeling the US president a warmonger, the “No Trump Joint Action Task Force” organized rallies against his visit. 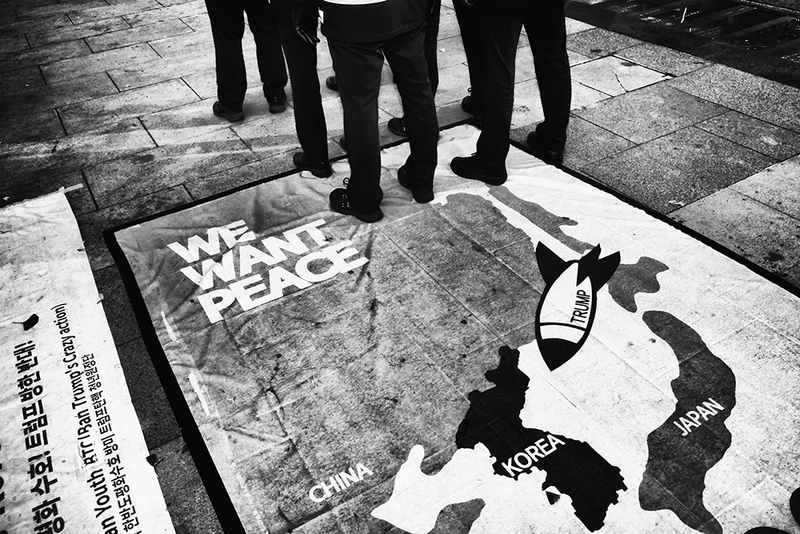 Made up of 220 left-wing political parties, civic groups, labor unions and student groups, the association claimed his impulsive remarks towards North Korea heightened military tensions on the peninsula. 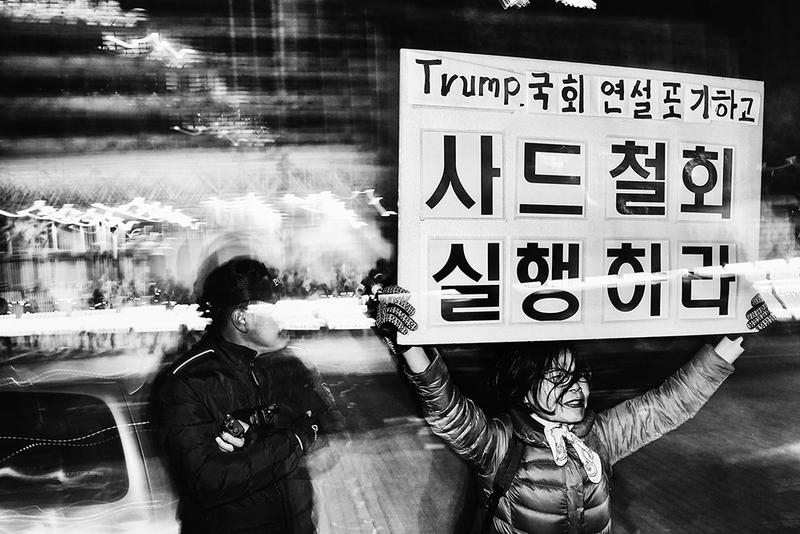 In Seoul, hundreds of protesters with raised banners and candles chanted, “No Trump, no war!” Though impassioned, their presence was dwarfed by the National Police Agency who ordered its entire force to maintain maximum readiness at protest zones close to the US Embassy. However, two months later, his fiery tone concerning North Korea returned. “I too have a Nuclear Button, but it is a much bigger & more powerful one than his, and my Button works!” With a single tweet, Trump re-validated prior fears of war — its threat continuing to loom over a future uncertain. 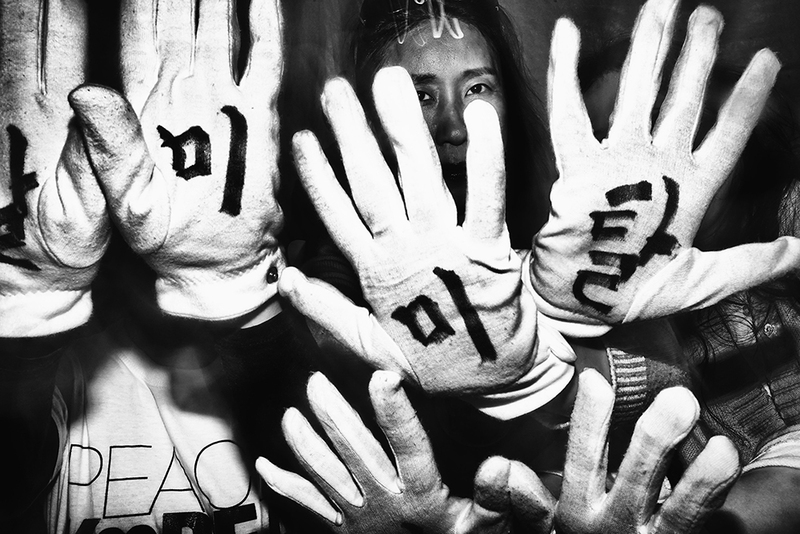 Show of Hands — An anti-Trump protest group calling themselves the Peace Mothers. The words “America” and “Out” are written on their white gloves. 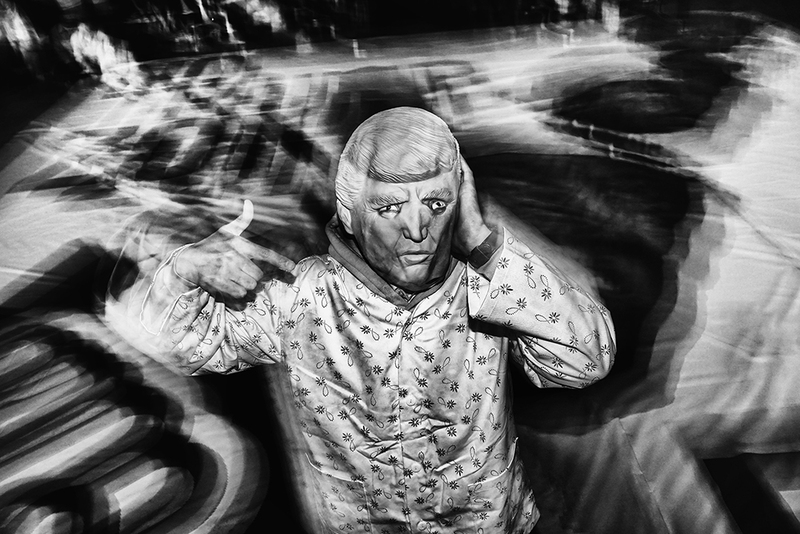 No Rest — A demonstrator wearing pajamas impersonates the US president during an anti-Trump protest. War Advocates –Counter-protesters express their views, supportive of Trump’s tough rhetoric. 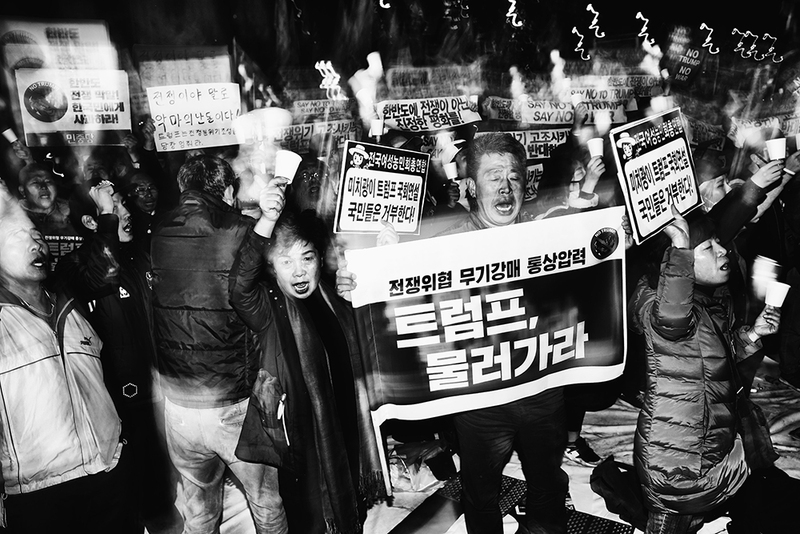 Sitting in Judgement — At Gwanghwamun Square, protesters sit down across the street from the US Embassy. 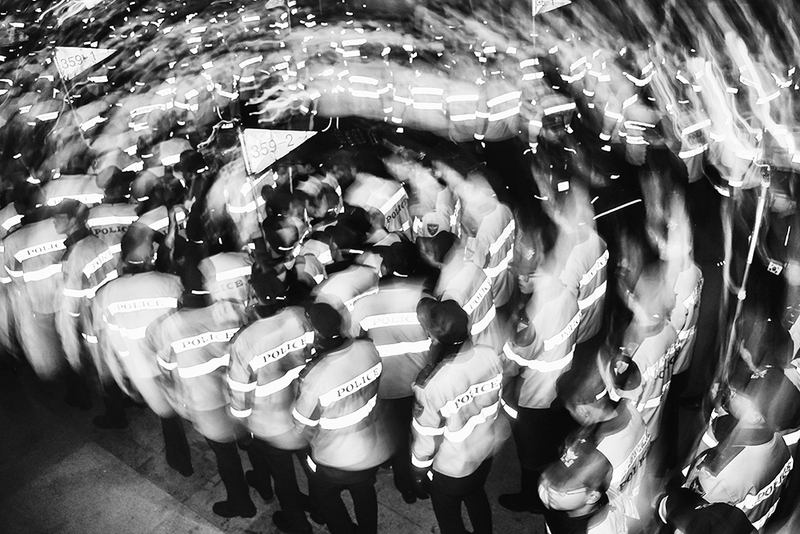 The Calm Before — Police begin mobilizing in Gwanghwamun Square. By the Numbers — Outside the National Assembly Building, police presence builds in anticipation of Trump’s address. 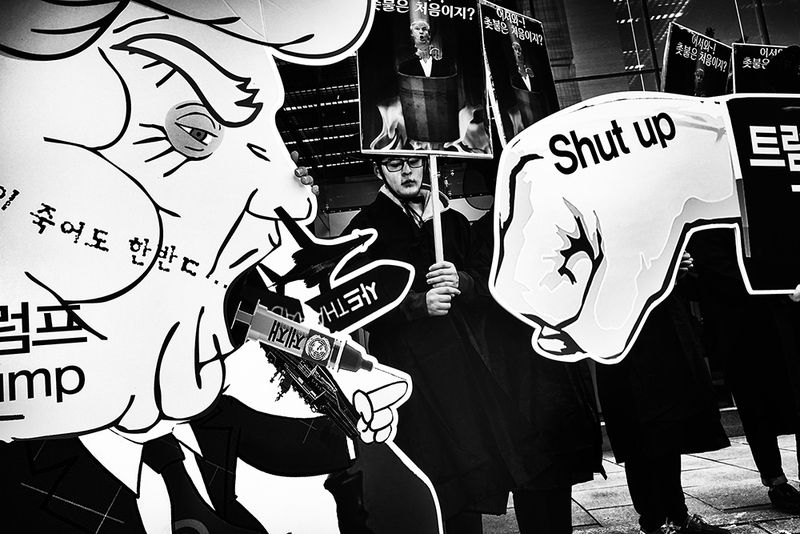 Face Value — Demonstrators display anti-Trump imagery in Seoul before his arrival. Take Cover — A pro-Trump supporter gets yelled at by the entrance of National Assembly station. 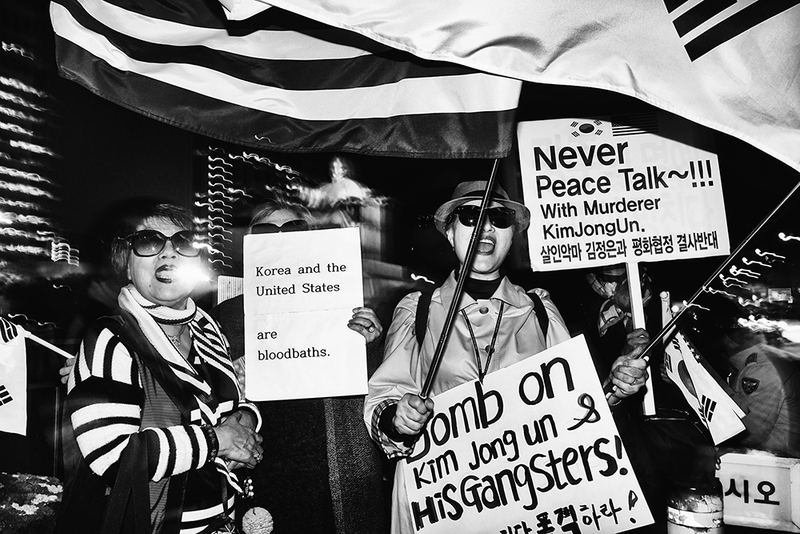 Her sign advocates for a strong alliance between the US and South Korea. 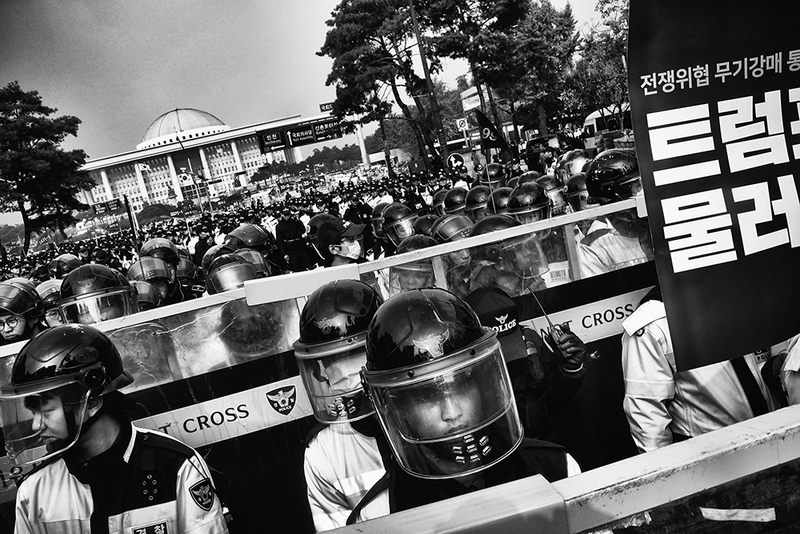 Stand By — Police officers at Gwanghwamun Square wait to cross the street near the US Embassy.